This is a few days late, but I wanted to weigh in on the latest Sherlock Holmes remake. I was looking forward to seeing this, as in recent years we’ve been deluged with both movies and tv remakes. 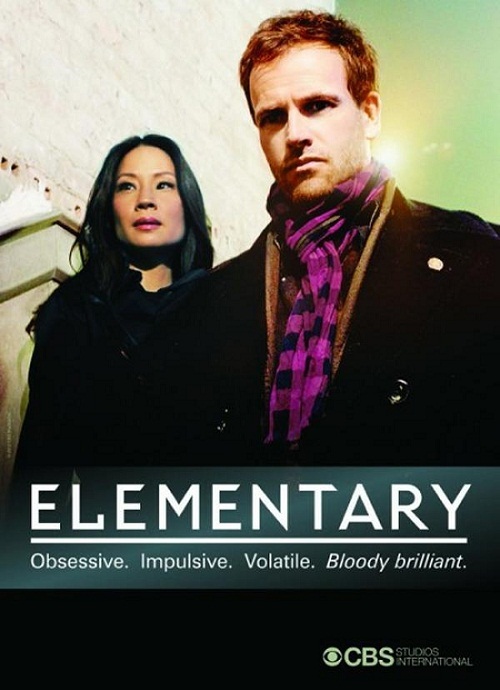 So the new Elementary airs on CBS on Thursday nights, is set in modern-day New York City, and stars Jonny Lee Miller as Sherlock, Lucy Liu as Dr. Joan Watson, and also starring Aidan Quinn as a police captain. Casting-wise, I have to say I like it. I like the fresh take of a female Dr. Watson, and Aidan Quinn is always great as a policeman (I would also check out a one-season series, Prime Suspect, in which he also starred). Jonny Lee Miller – I am a fan of some of his work, and I do like that they still have an Englishman in the role even though it’s in NYC. He does a good job playing the annoyingly observant Sherlock, and Lucy does a fair job playing opposite him. It was just the pilot (and pilots tend to differ from the rest of the season), so I’ll be checking out the next few episodes before I make a final call on this one, but I’m hoping that Jonny and Lucy can find a way to better play off each other’s characters. I also hope that Lucy’s character, Dr. Watson, really gets to shine as a strong female lead to Jonny’s Sherlock. What’s the point of having a female as an influential, traditionally male literary character if you aren’t going to play up that aspect of the role? Dr. Watson is tough (had to be to put up with Sherlock and roll with whatever harebrained scheme he hatched to catch the killer), so I’d like to see Lucy showcase that more in the coming episodes. One reason why I love Martin Freeman as Dr. Watson is because he makes his character essential to the story (or maybe that’s the writing? Or a combination of the two?) – you know when you watch an episode of Sherlock, Freeman’s character will inevitably be involved in Sherlock’s scheme and the final dramatic scene. I don’t see Jonny and Lucy’s characters at that point – but, as I said, it’s only been one episode. We’ve only really seen the book cover, so let’s dig into a few chapters and see how it goes.